I had another great time today and thank you Lord for that. We went to Luneta together with Kuya Ruther, Joel, Jim Apil and Eljay. I was the 33rd Anniversary celebration of Jesus us Lord Church also known as J.I.L. A lot of people came. The praise and worship was really fun and all of us were so bless. We didn't finish the program because we are very sure that it end up very late. We can't afford to go home late since we still have a practice tomorrow. I got hungry so we decided to look for food. We ate at a stall beside the Quirino grand stand. There were vendors they. After we ate we decided to go around Luneta. We went to Rizal Park and to the dancing mountain. The fountain was really beautiful. This is the first time that I saw Luneta for this year. It's a long time since I've been there. It was almost or maybe more than a decade. Thank you so much Lord for this wonderful experience. Thank you also for the safe trip. Though we arrived home late still you brought us safe and sound. 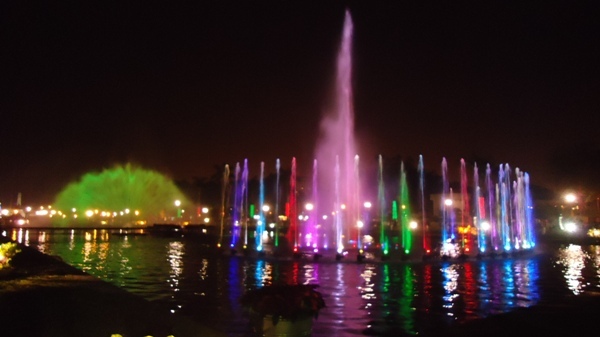 This dancing fountain is really a good project of DOT. I hope that they have more projects like this. Projects with world class standard.